Throughout the year, RE departments invite us in to teach lessons on a full range of themes and topics, such as belief in God; prejudice and discrimination; forgiveness and medical ethics. Our lessons are always very discussion based, encouraging young people to think and share their own thoughts, views and opinions. At certain times during the year YoYo also lead creative workshops in Secondary school. These sometimes happen in RE lessons, but we have also worked in drama, music and English lessons in the past. Our creative workshops come in various forms such as poetry writing workshops, drama masterclasses and creative music and songwriting classes. If you would be interested in having YoYo teach RE lessons or lead creative workshops in your school, please contact us. 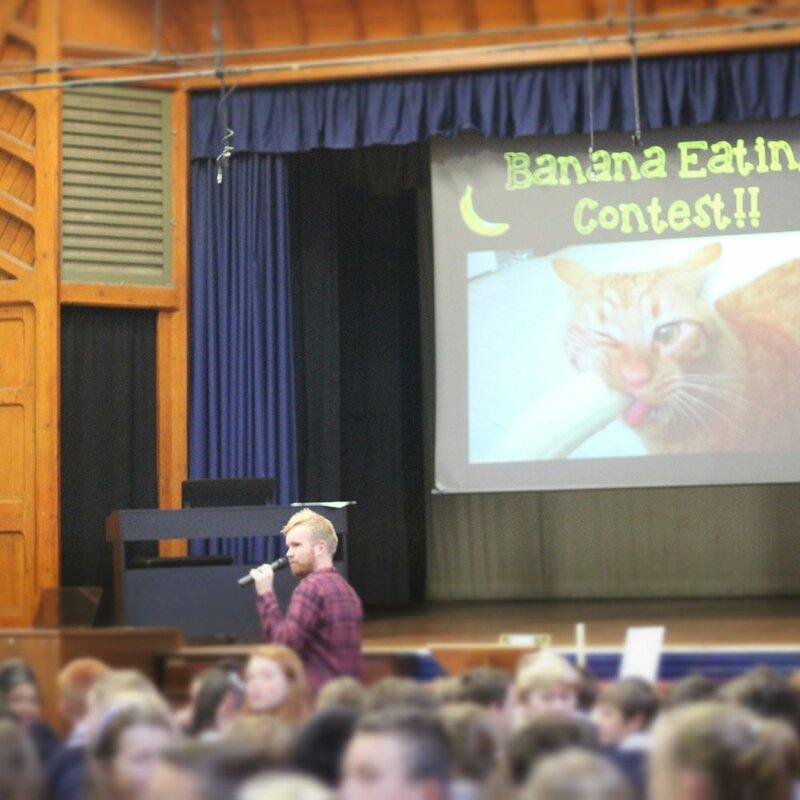 YoYo visits a number of secondary schools across York to deliver assemblies. They are always focused around a challenging theme, encouraging the young people to consider their own thoughts, views and opinions. We also share how our Christian faith impacts the way that we live and think about some of these themes and issues. Encouraging sleepy pupils to engage first thing on a morning is sometimes a challenge, so we try to make our assemblies fun, engaging and full of energy. They will usually involve some pupil participation, quizzes, challenges and the occasional tin of dog food! If you would be interested in having YoYo deliver assemblies in your school, please contact us. Invaders is our weekly lunchtime club for school years 7-9. Currently we run Invaders in 5 secondary schools across the city. The clubs are a great place for young people to come along and spend time with their friends. Each week we play lots of fun games and do lots of great activities together. We also have a theme linked to the Christian faith each week, with chance for discussion and asking questions. This term we are doing a series called 'The Game of Life' using the theme of board games to help us think about questions of faith and life. If you are interested in YoYo starting an Invaders club in your school, please contact us. Christian Unions are a place for Christians and those who are interested to gather, study the bible, discuss different ideas and ask questions. One of the main purposes of CU is to encourage young Christians to be living out their faith at school, the place where they spend most of their time. A big part of CU is also outreach, and the CUs regularly look for ways to reach out to their schools and colleges. We currently have CUs running in York College and Fulford School. If you are interested in running a CU in your school, or would like to find out more please contact us. Prayer and reflection spaces in schools area great way to encourage young people to pray and reflect in creative, fun and interactive ways. Often the idea of prayer seems very boring to children and young people, so these days are about helping the young people to engage with prayer in a new way. We usually set up a number of different 'prayer spaces'. Each space will focus on a different aspect of prayer such as the world, self-image, forgiveness and my community. The young people move around the spaces in small groups and are lead through the prayer activities. 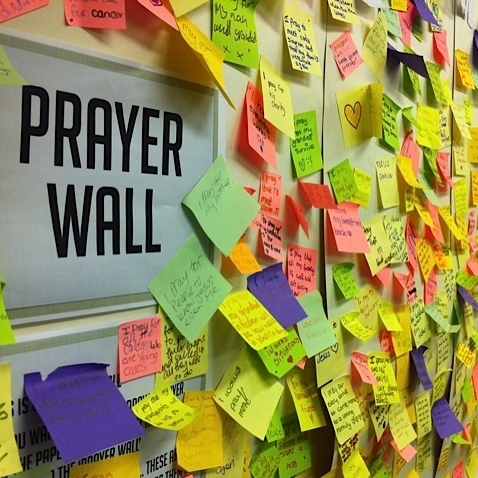 Even those who have no faith have found the prayer spaces a great way to reflect and think. A number of schools regularly have us for prayer and reflection spaces, recognising their value. Prayer Space in school is a national initiative. You can find out more by clicking here. If you are interested in YoYo leading a prayer and reflection space for your school, please contact us. Regain is a half-termly prayer and worship event event for young people, run by the Unite network of youth workers in the city. The vision for Regain is to have a space where young Christians can meet with other people their own age from lots of different schools and churches, and can pray and worship together and encourage one another in their faith. It is also a place where they can meet other people from their own school and can talk about their faith in school. If you would like to find out more about Regain, please contact us.